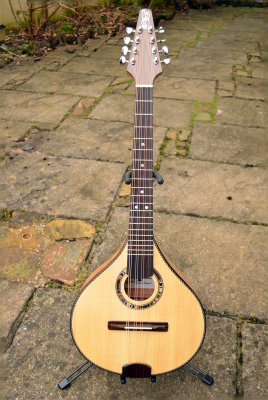 All of my mandolins are new, in that they have been played to test the set up and to bed in the strings. room for the next generation of instruments. All are hand built by myself and are unique in design. I can arrange to send you a sound file but would prefer it if you could come and play music in Devon. Any carriage charges would be at cost. ​Please contact me by e-mail for further information or to discuss commisions. 'Not Available' means that I no longer have the instrument or that I have not yet released it for sale. Just talk to me if you think I can help.